If you are looking for that very special filly then look no further. The updated news on Kouture is that she is lightly under saddle. Walk, trot and canter and going brilliantly! 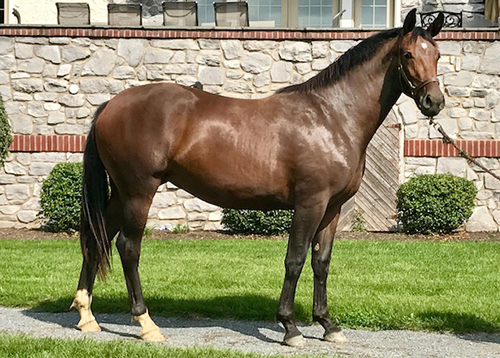 She appears to have a wonderful working attitude, focuses well and is extremely balanced for such a young horse just being started. 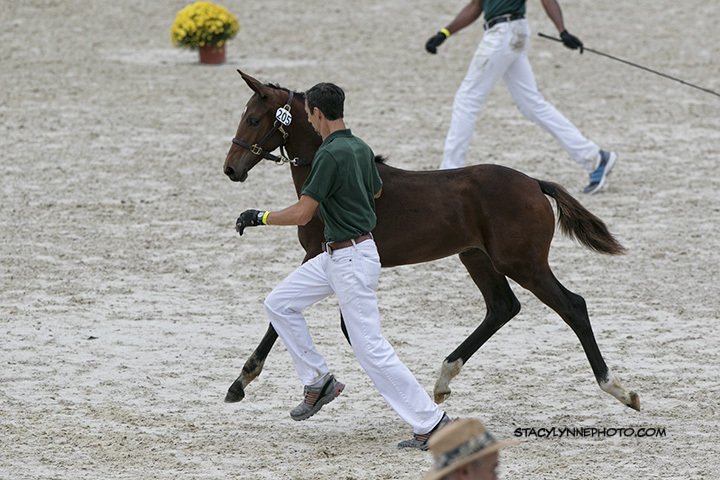 All three gaits are superior and very rideable but her walk and canter at this moment are exactly what you would be looking for in an upper-level prospect. Our plan for Kouture this summer as a 3 yr old would be to keep her going in light work and building up her confidence. Kouture will be presented as a 3 yr old at the KWPN keuring and if all goes according to plan (one never knows with horses) she will be shown in hand at Dressage at Devon in September. 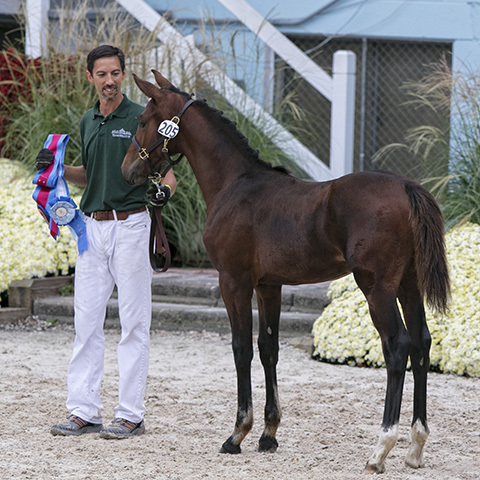 As a weaning, she was present at her breed inspections where she was given the coveted KWPN First Premium Award, even though she was one of the youngest foals presented on that day. 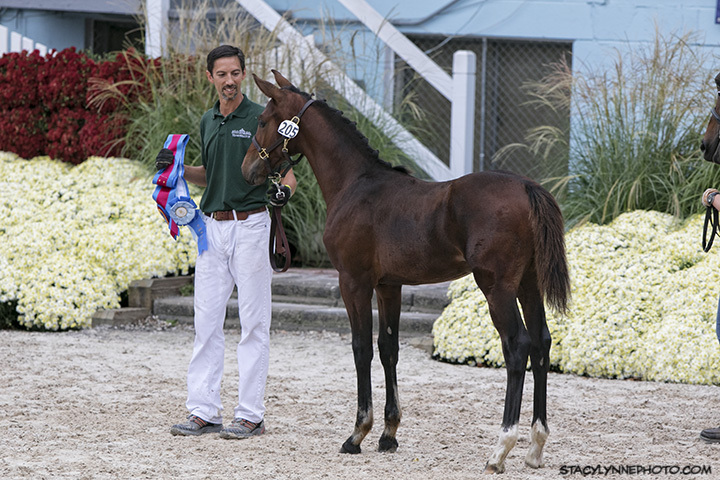 A month later at Dressage at Devon, Kouture won the Fillies of 2015 Class with an 83.643% and then went on to compete in the Foal Championship where she was named Champion Foal beating out a total of 47 other colts and fillies. 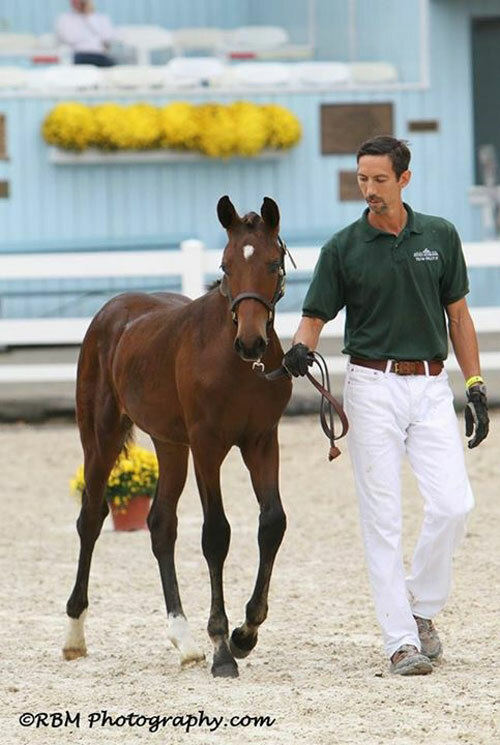 Kouture was also the high point winner at Dressage at Devon that year and we were named as the Born in the USA Award recipient. Kouture is out of homebred KWPN Ster mare, Glamour Girl who won her Fillies of 2012 Class with an 87% and then went on to win the GAIG East Coast Breeder Series the previous year 2014 at Dressage at Devon. Her sire Florianus II is a stallion with an incredible work ethic. 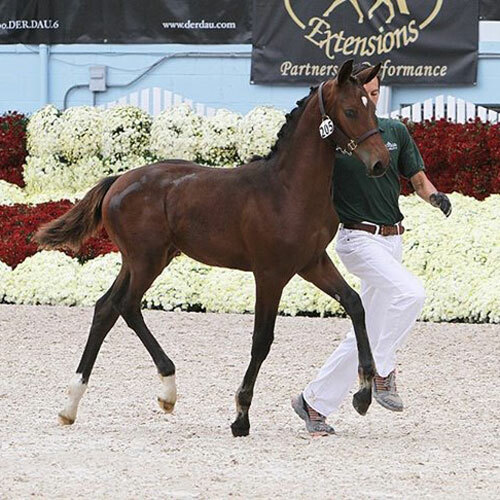 He has very supple gaits with a lot of flexibility and scope in his movement, and he excels at the collected work coupled with an incredible temperament. Florianus II successfully participated at the 2003 Bundeschampionat in Warendorf, as well as the 2004 World Championships for young dressage horses. He easily progressed to advanced level and finished the 2005 show season, at the age of just seven, with a respectable second place in an Intermediaire I test. His strong willingness to collect in the most difficult movements of passage and piaffe demonstrated his trainability and athleticism; this was rewarded in 2006 by numerous ribbons in Grand Prix. Florianus II was the most successful Westfalen in Germany in 2007, collecting 22,000 euros in prize money. Kouture’s Grand sire Ampère is a world class champion stallion. In February 2008 at the stallion show Den Bosch, he made the hearts of many spectators beat faster, and became the convincing champion of the stallion show. After that, the breathtaking bay stallion became the undoubtable winner of the 70 day performance test in Ermelo. Dream scores mark his extraordinary qualities: walk 8, trot 9, canter 9.5, suppleness 9, self carriage & balance 8.5, and ridability, work ethics, and talent for dressage 9. Test riders described the stallion as the best stallion in years. Ampère is the third stallion show champion in a row of the sire, Rousseau. Rousseau himself was silver medallist at the World Championship for young horses in 2003. Ampère’s damsire, Flemmingh, is the sire of many Grand Prix horses like Krack C ridden by Anky van Grunsven, and Lingh ridden by Edward Gal. Ampère’s dam, Larivola, has the predicate “keur”. 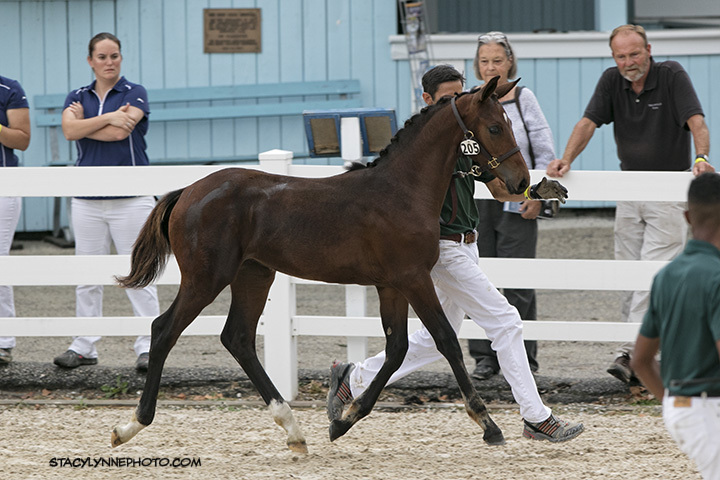 Kouture has all the makings of an international dressage prospect and we will only consider selling her to experienced young horse professionals as their next upper level show partner.